This was the year that I got back into reading in a big way. Last year I didn’t even have a comic shelf and it’d been ages since I picked up a book I wasn’t being forced to read at school. Usually, there would be a single month out of the year where I got really into the idea of being a novelist and would read five random books and then give up. But this year I read more novels than I did in four years of college combined and discovered new characters like Kamala Khan and Miles Morales who got me interested in regularly reading new comics. 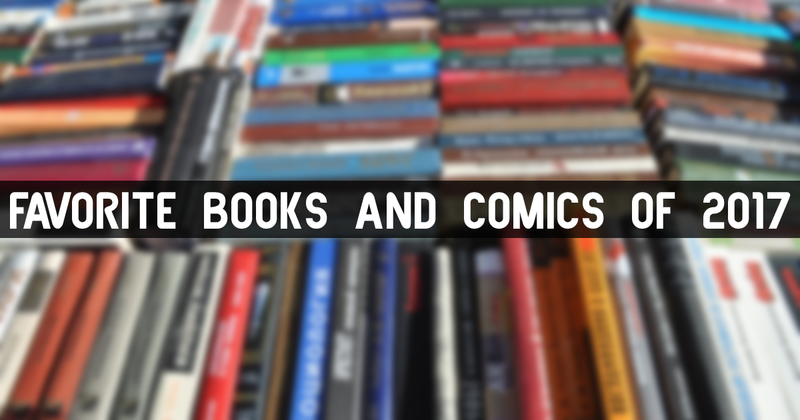 And so, having read dozens of books and hundreds of pages this year, here are my favorite books and comics of 2017. While I have read a lot of books this year, I haven’t read enough 2017 books to do separate Top 10 lists for comics and books, so I am going to do this as two Top 5 lists. Since I prefer trade paperbacks over single issues, I am going to count multi-issue volumes released in 2017, even if it collects 6 issues from 2016. Obviously, I’m not including any ARCs I got for 2018 books either. I’ve definitely read more than 10 trades and manga volumes this year, but looking back a top 10 would mostly be comics I liked but didn’t love, so Top 5s it is. This was a weird series that adapted the classic cartoon into a sorta realistic commentary on sociological topics such as religion, politics, war, capitalism, marriage, and more. A lot of it hit perfectly (there is a great cameo by Adam and Steve that comes to mind) and there was a lot that didn’t (the idea that Fred and Barney are war veterans didn’t work for me.) 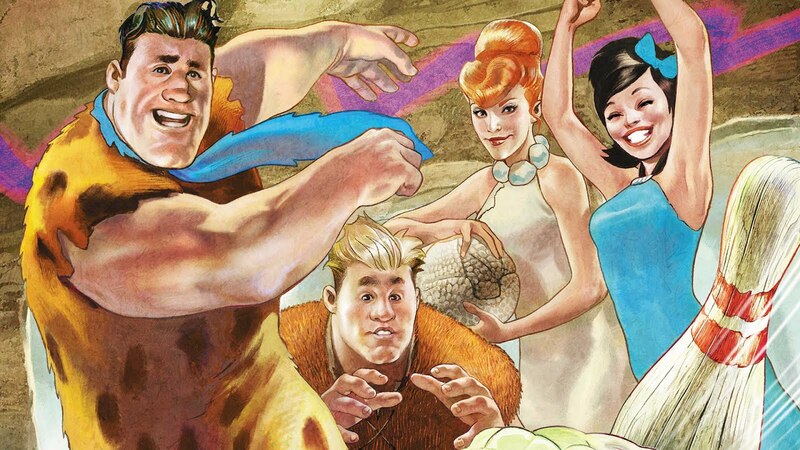 and yet, in the end I was actually sad to say farewell to Bedrock. The writing wasn’t always the best, but the little details splashed here and there made it worthwhile. 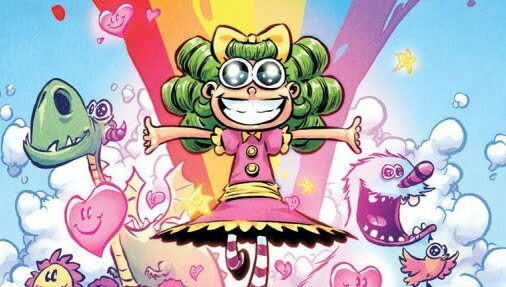 I’d seen I Hate Fairyland in stores and always dismissed it as not my thing. Then it popped up on Hoopla so I thought, “Why not?” I Hate Fairyland is the story of a Gertrude, a ten-year-old girl who is whisked away to a magical land similar to Wonderland or Oz. She is tasked with a quest to find a key that will open the doorway home. This quest takes her almost thirty years. Now a mad, middle-aged woman in a child’s body. Ultraviolent insanity ensues as Gertrude viciously murders ay magical creature that gets in her way. “Good Girl” sees Gertrude on a path to redemption as she tries to do the right thing and become a good person. However, Gertrude isn’t quite used to being good resulting in a path of redemption paved in blood. It’s hilariously gory and cartoony at the same time. I knew nothing about Champions before this birthday impulse buy. 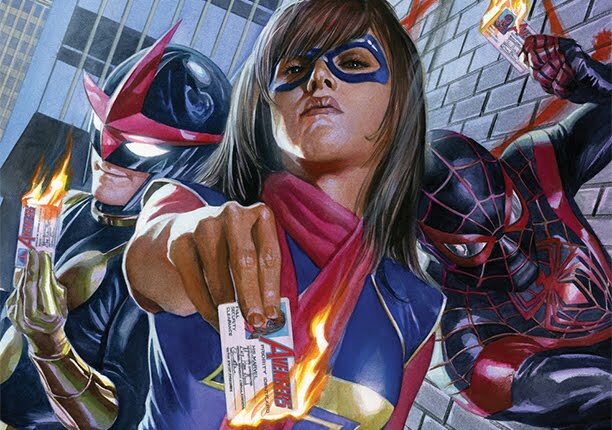 Well, I knew Ms. Marvel, Spider-Man, a new Nova, some pink girl, and the Asian Hulk were in it. But that was about it. Not only that, the first time I read it I wasn’t a big fan. However, upon rereading the Champions are now one of my favorite Marvel teams right now. The six members of the team work really well together and the message of taking action to change the world, often by means other than punching someone, really hit home in 2017. I realized, after reading this, that I may just like younger superheroes better. This really felt like “Marvel’s Teen Titans” to me. And man, did I forget how much I love Teen Titans. The happiest surprise I’ve had as I’ve gotten into comics this year is how much I love Damian Wayne, the son of Batman and current Robin. 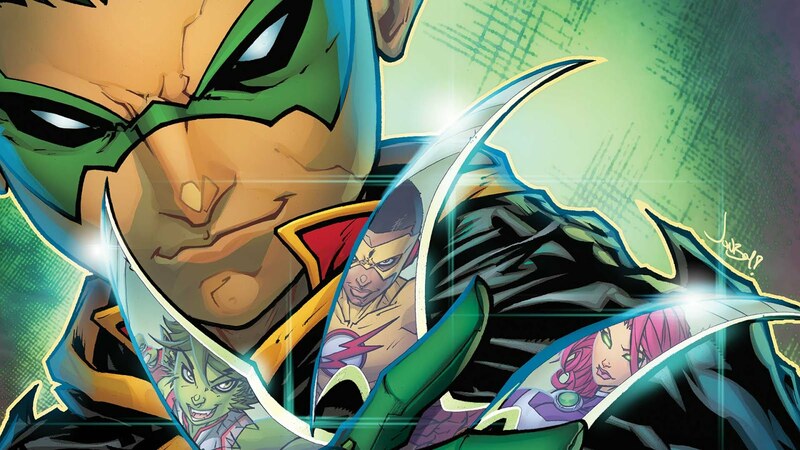 He popped up in Gotham Academy, the Robin War, and Batman vs. Teenage Mutant Ninja Turtles and every time I thought, “This kid is great.” His solo series didn’t hold my interest, but as the leader of the post-Rebirth Teen Titans Damian is at his best. Veterans of DCs teenaged hero team Starfire, Raven, and Beast Boy are joined by Kid Flash (the black version that still exists alongside the original, white Wall West I guess?) and find themselves hunted and captured by Damian himself. The Son of Batman basically wanted some friends and needed help beating up some bullies, he just wasn’t sure how to go about that. It’s hilarious and loads of fun and the cast wonderfully bounces off of each other. This might be my new favorite manga ever. This sci-fi adventure follows nine high school kids grouped together for a school project that was supposed to involve surviving on a nearby planet. When they arrive at their destination, they are sucked into a mysterious portal and wind up stranded in space. They luckily stumble upon an old ship and prepare for a long journey home. Along the way, their individual characters are explored through their various interconnected family dramas. The way the kids grow and bond over the series reminds me a lot of Digimon Adventure. Vol. 1 was released physically this autumn, but the entire series has been digitally released simultaneously by Viz. I only just discovered it when Vol. 1 was released and binge-read everything else. The final chapter comes out on the 30th and I am both excited and sad to see my new favorite series end. 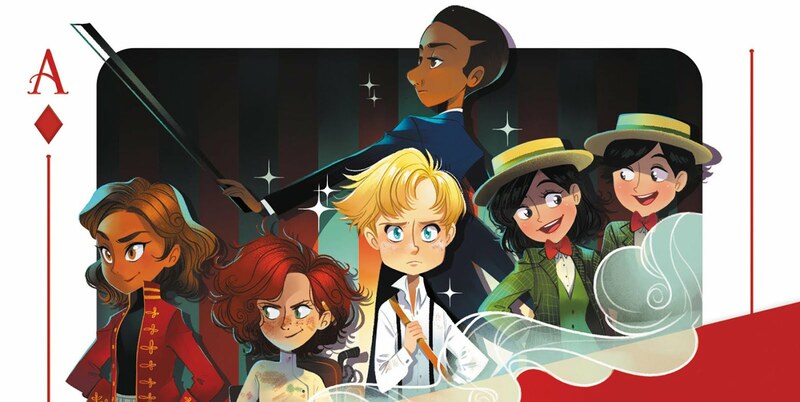 Freakin’ Neil Patrick Harris wrote a children’s book about street magic? How does everyone not immediately want to read this? It’s honestly at the bottom of my list because every Top 5 needs to have a #5, there are just 4 books I liked more. The Magic Misfits follows Carter, a young boy on the run from his nasty uncle, as he explores the world of magic and illusions, makes new friends, and takes down an evil carnival ring. It’s a fun story, even the table of contents is worth reading every word. There’s even magic trick listens sprinkled between chapters! 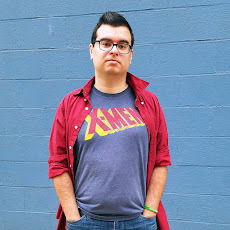 This is my first superhero YA book, which is apparently a bigger genre than I realized. The story follows Miles as a black, Puerto Rican teenager growing up in the streets of New York and attending a boarding school during the week and spending time with family on the weekends. Also: he’s Spider-Man. I love Miles Morales but this one ranks lower on the list for a big reason: not enough Spider-Man. 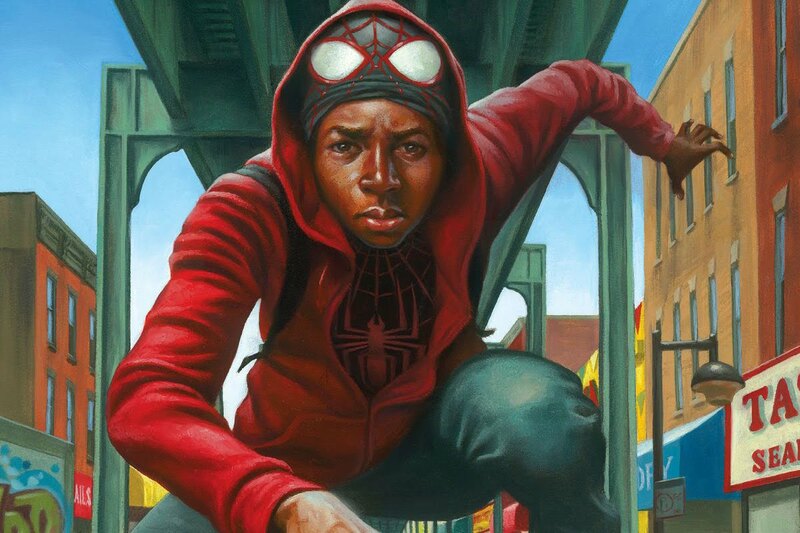 It’s a great YA story about an urban kid dealing with racism and being poor and I really did like that stuff, but Miles puts on the web shooters for one quick scene to intimidate some punks and then again in the final chapter to take down the kinda lame supervillain. I think you have to be a YA fan first and a Marvel/Spider-Man/superhero fan second to enjoy this one. And congrats to Miles for making it onto both lists. Despite what I heard, Warcross wasn’t as magical and captivating as Ready Player One, but that’s only because it didn’t need to be. Warcross is a really cool futuristic e-sports story, but the virtual reality scenes are few and far between and the ones we do get aren’t that spectacular. 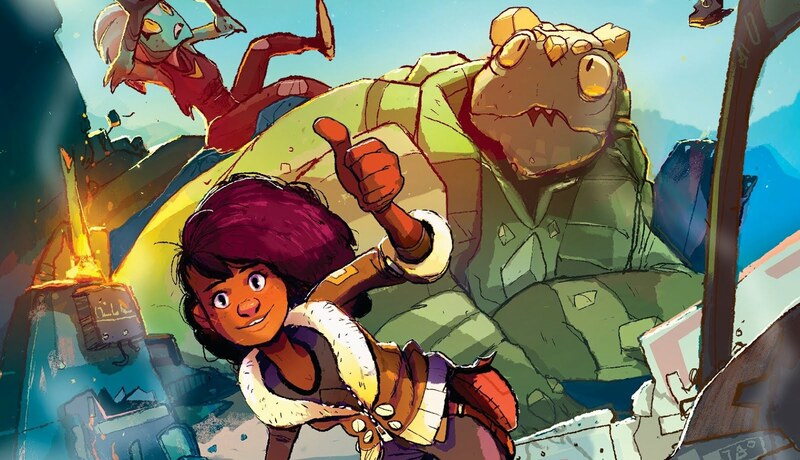 Emika Chen is a hacker who hacks her way into the Warcross Championships opening ceremonies, a stunt that lands her in on the creator’s good side. Emika lands a spot in the championships and gets a job tracking down a malicious hacker within the games. Emika’s interactions with her teammates and her infiltration of Warcross’s inner-workings more than makeup for a less than stellar virtual world. This was a fun and wild ride. Elara Adele Vaughn travels from her middle of the nowhere homeworld to attend a terraforming academy and learn the science and art of transforming a planet’s environment. Throughout the adventure she makes all kinds of friends and uncovers a sinister plot against her that involves sneaking out of her dorm, traveling through time, and blowing up the moon. The nice hardcover artwork and illustrations really help set the mood for the story. It feels like an animated series, which I would totally watch. I finished reading this one on the flight to our honeymoon back in April and only posted on sentence about it in a Saturday Morning Update. 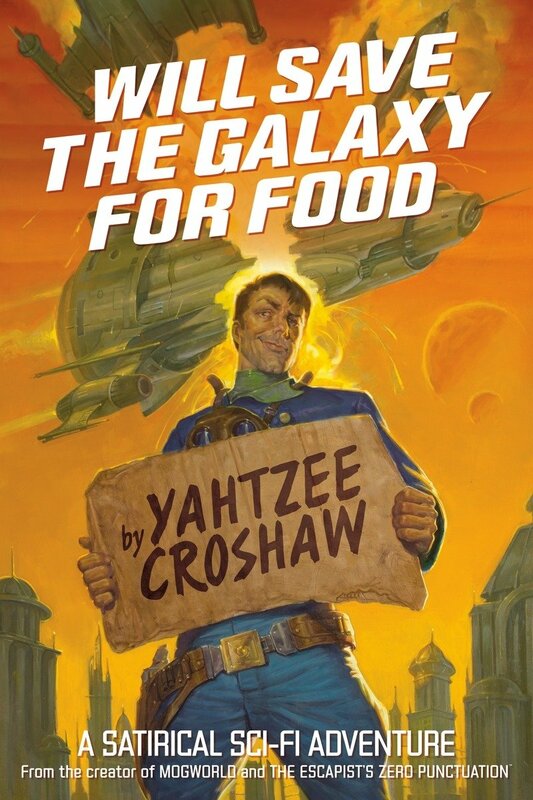 I described the book as “The Hitchhiker's Guide meets Firefly on Adult Swim” and pretty much left it at that. Will Save the Galaxy for Food is a sci-fi comedy that takes place after the golden age of star pilots like Han Solo who used to travel the stars and save planets from various sci-fi plots before the invention of FTL teleportation obliterated their entire way of life overnight. 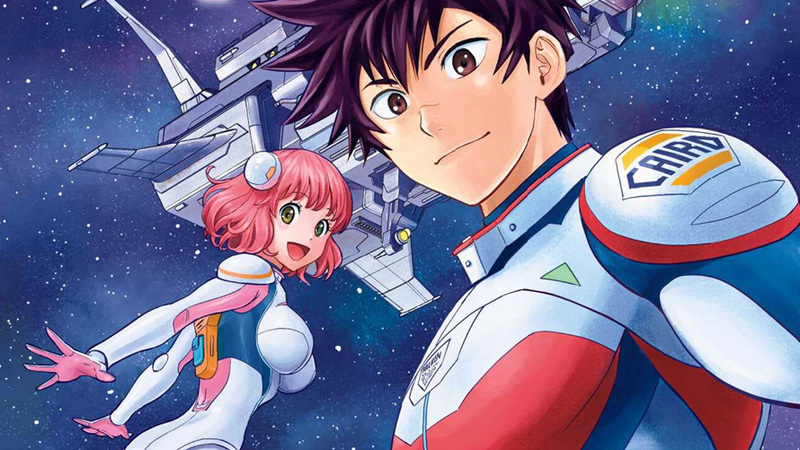 Our protagonist is a former star pilot who winds up impersonating a famous star pilot novelist (who got famous stealing real-life stories from other star pilots) and gets caught up in all kinds of space action. It’s a hilarious look at classic sci-fi tropes and the story takes a lot of fun twists and turns. What were your favorite books of 2017? What did I miss? What are you looking forward too in 2018?